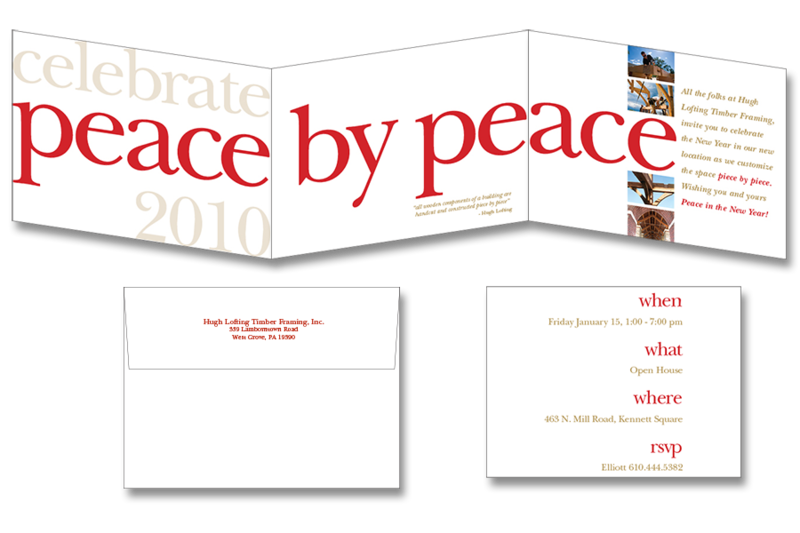 The Hugh Lofting Timber Framing holiday card and invitation is a play on the word peace/piece. A translucent vellum sheet insert provides invitation details. idesign communications has created holiday cards for Hugh Lofting every year since 2005.